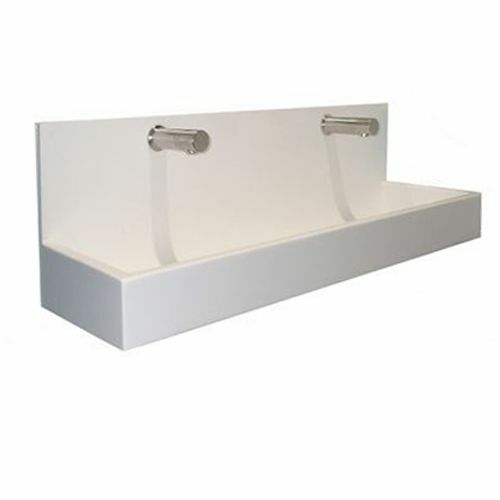 Solid surface wash troughs are manufactured from Hi-Macs or Corian resin material. 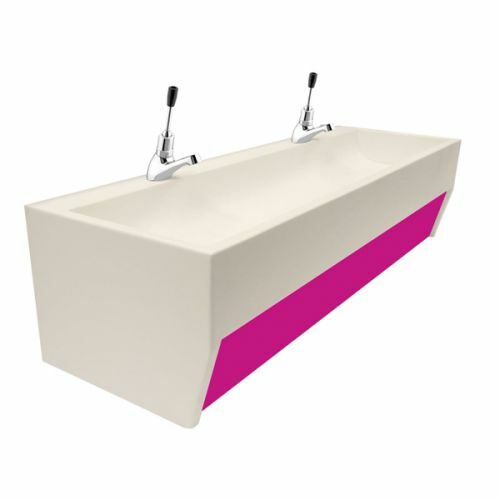 Hi-Macs and Corian wash troughs are available in 8 standard colours in various styles and lengths to suit individual site requirements. Resin wash troughs offer a high quality alternative to the more traditional stainless steel or vitreous china washing troughs. Or download our solid surface wash trough brochure here. 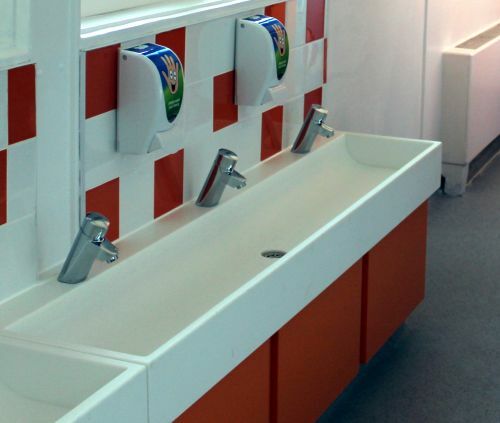 A high-quality Corian wash trough is non-porous, stain resistant and hard-wearing, making them popular with local councils for school projects. They are sleek, pleasing on the eye and can be buffed to remove any blemishes that may occur during use. These resin troughs are also heat-resistant up to 100°C (212°F). The Corian solid surface material is manufactured by DuPont and is a blend of natural minerals and acrylic polymer. To complete the attractive design, we can supply Infrared Angled Basin Taps - the perfect faucet for upmarket aesthetics. The Hi-Macs wash trough uses approximately one-third acrylic resin and 5% natural pigments. The main constituent is the natural mineral aluminium hydroxide (ATH) obtained from bauxite (aluminium ore). This material is manufactured by LG. 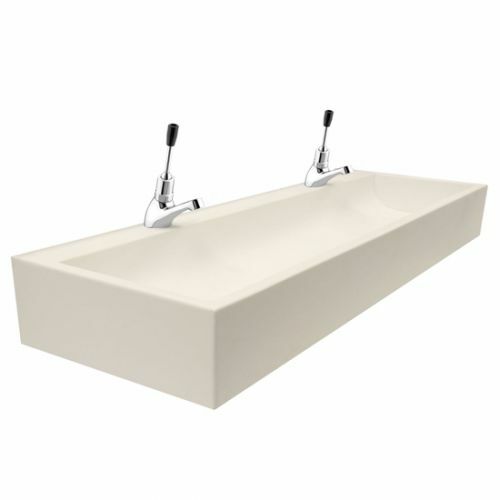 These solid surface wash troughs are non-porous, hard-wearing and stain resistant. The Hi-Macs material makes for a strong surface that has the resilience of natural stone. 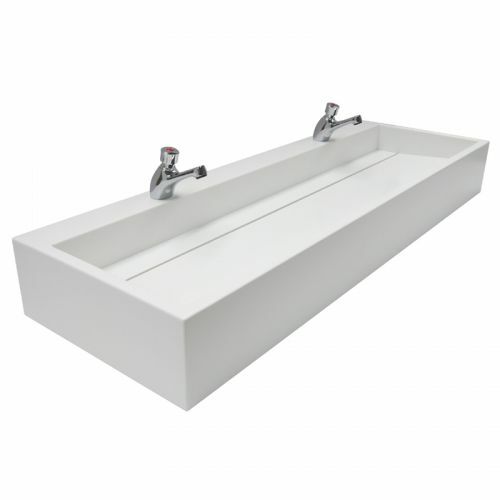 Much like resin wash troughs, Hi-Macs have a seamless design that make them easy to clean and aesthetically pleasing - important factors noted in the Department for Education and Skills report suggest that high-quality facilities encourage respect and good behaviour. Scratches, cracks and stains are easily repairable by a professional, and the material can be worked on like wood, making drilling and sawing an easy task. 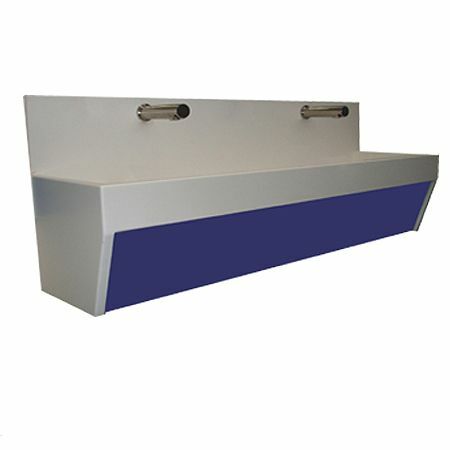 Such hand-washing troughs are ideal for hospitals, schools and other organisations where cleanliness is paramount, as the material is impermeable to viruses, bacteria and dirt, reducing the risk of spreading disease. They are also fire-resistant. Additionally, Hi-Macs troughs are sustainable and recyclable, with an eco-friendly manufacturing process that makes them perfect for organisations with strong green policies. We can supply a wide variety of taps, including the scratch resistant Infrared sensor tap which flawlessly complements our range of Hi-Macs. 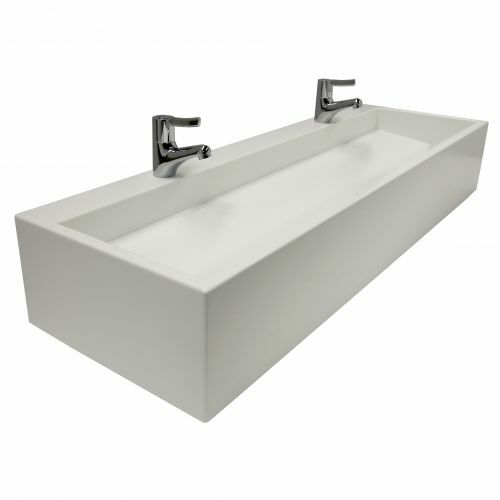 Whether you opt for the Corian or Hi-Macs finish, our range of solid surface resin wash troughs offer an air of luxury that promises to enhance any washroom.